For Frank’s theme this week of ‘Go Big’, here is a view of part of the exterior of the Grand Mosque in Muscat, Oman. It’s pretty big inside, too. The first time we visited Muscat, in Oman, we went on a sunset cruise, so this was a new horizon for us at the time. By way of a change, after a steady diet of decrepit French rustic doors, here is something a little more opulent, from the Grand Mosque in Muscat, Oman. The Arabian peninsula isn’t just endless sand dunes. 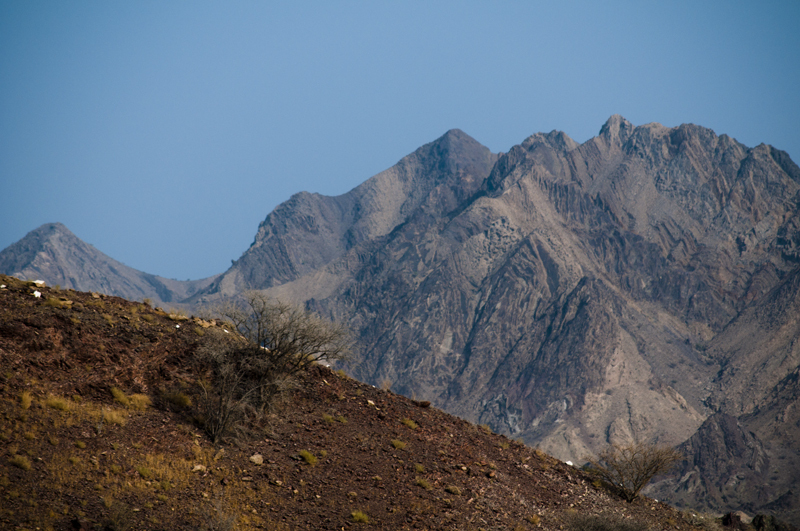 This is a view of the Hajar Mountains in Oman, although the photograph was taken from Hatta, which is in the emirate of Dubai (so Dubai isn’t just skyscrapers and traffic jams either). This is from a few years back. On a trip to Oman, we went out to to look for dolphins. 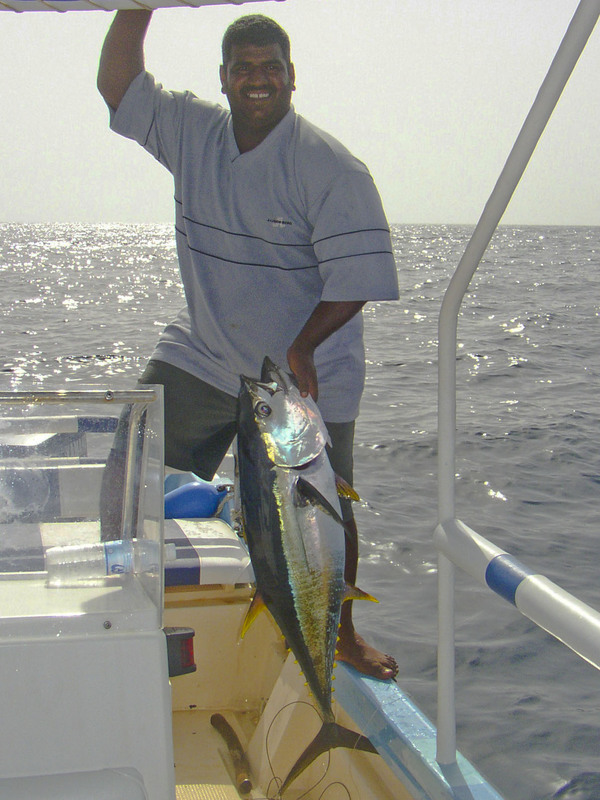 Khaled didn’t waste the opportunity to catch his dinner.